We’d love your help. Let us know what’s wrong with this preview of Kneeling in Bethlehem by Ann Weems. 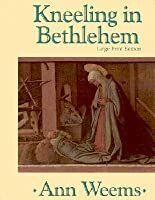 To ask other readers questions about Kneeling in Bethlehem, please sign up. I think I may know someone who needs to read this? Actually I can think of a few. As poetry itself, this is an uneven collection with some standouts and many great turns of phrase and thought. But highly, highly, very highly recommended for liturgical use. I really enjoyed this! It was perfect for reading in the week before Christmas. I think I'll have to get some of her other books! Perfect read for the season of Advent. Focus on the Manger, the Lord and His Gifts. A blessing to read. Suggest get your cup of coffee and read a few poems each morning during this Christmas Season and set your heart on the LORD!!!! Poetry for the Advent season. Most tie Advent to our get-ready-for-Christmas rush, Emmanuel God-with-us now, and our need to keep the alleluia moments and the help-other moments with us. 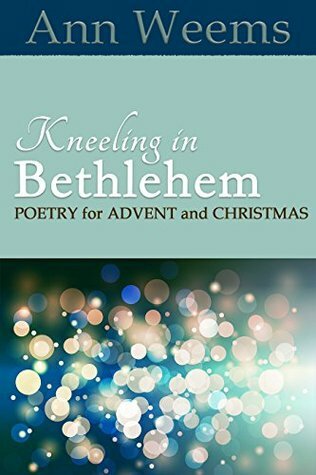 Our pastors, Lori & Becca, have been using some of Ann Weems' poems from this collection in our Advent liturgies (and I wouldn't be surprised to find some in Christmas and Epiphany liturgies, as well). I was drawn to the words and so got the book to read for my Advent season. Many of the poems go deep and to the thin place between the secular and the sacred. Lovely re-read of this challenging Christmas and Advent collection . Now read for Christmas Spirit Reading Challenge 2015. Lovely poetry calling us to live into the Advent season reflectively and actively and meaningfully. I've also found these poems enriching for use in various ways in worship. I read this collection of poems every Christmas. “We are freed to free others. We are affirmed to affirm others.